Pour: Heather Day & Kathryn Macnaughton will open at Joshua Liner Gallery this week. 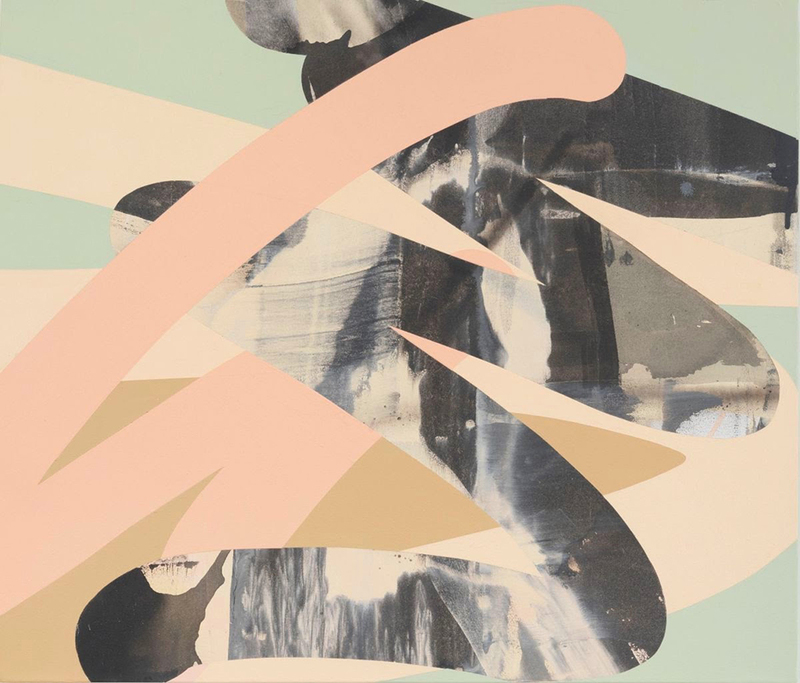 This two-person exhibition features new works on canvas from San Francisco-based Heather Day and Toronto-based Kathryn Macnaughton. Pour explores a dynamic approach to painting, characterized by the pouring and pushing of paint on the canvas. Both artists create abstract paintings that study light, color, and movement. Macnaughton and Day have a complex and intuitive handling of paint, balancing raw expression with restraint. Each artist builds upon Abstract Expressionism’s gestural marks and expressive potential for color, adding their own personal narratives. 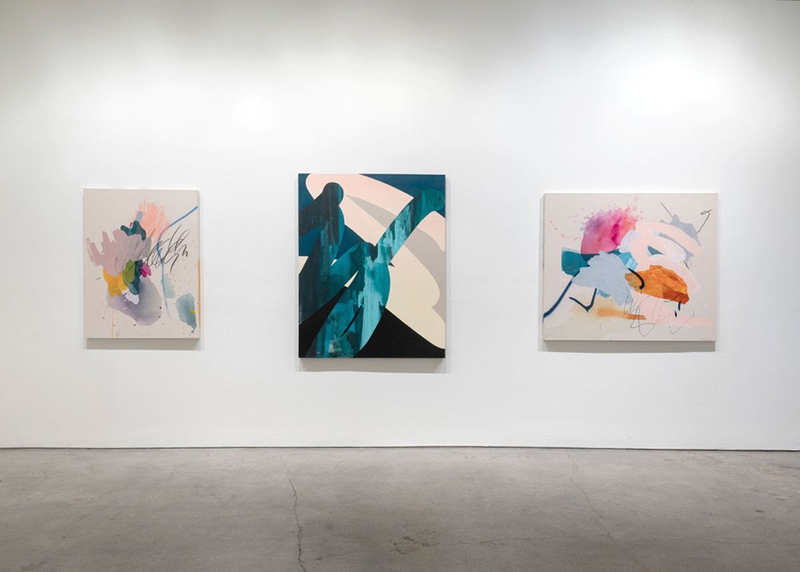 All of Heather Day’s paintings were completed during a month-long residency at The Macedonia Institute in Upstate New York’s Hudson Valley during the month of December. Incorporating the temporary rural surroundings into her compositions, the artist infused each new work with fresh influence. Creating highly personal works, Day’s paintings are a direct illustration of her Synthesia, a condition in which her emotions are experienced with color and shape. This idea of ‘seeing’ feelings is reflected directly onto the canvas. 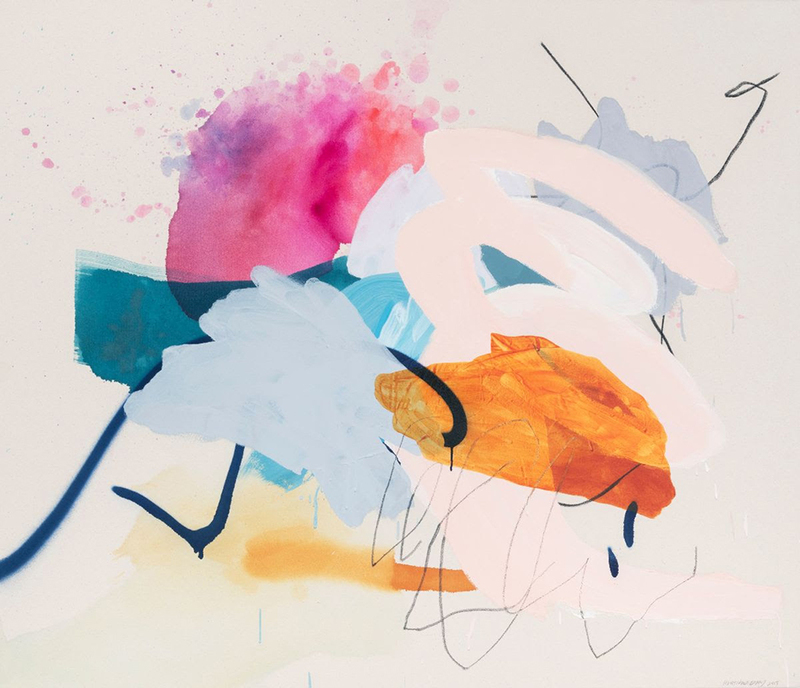 Kathryn Macnaughton’s paintings are a tense balance of the chaotic and the pristine. The artist’s first step is to wash the paint around the canvas, which results in organic hues and tones. Once dry, she paints cleaned edged, geometric forms on top, allowing some of the wash to show. The result is a tension between two styles of painting at once, along side very balanced compositions. 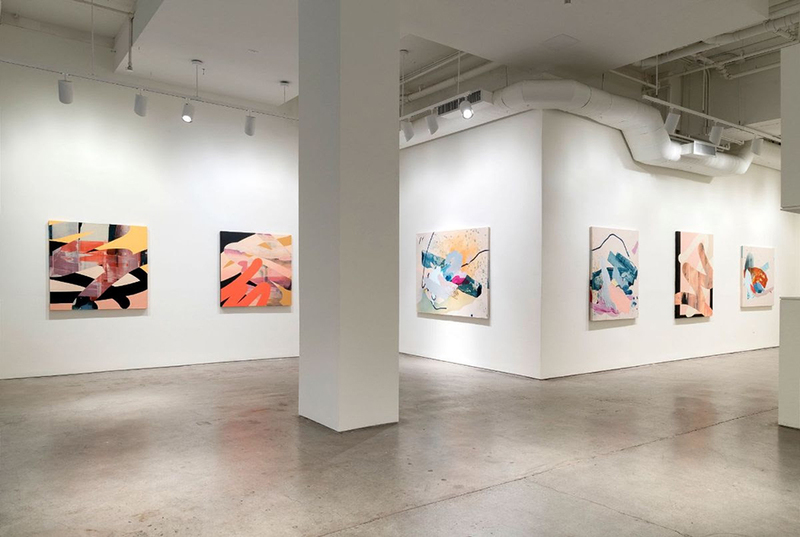 Pour: Heather Day & Kathryn Macnaughton will be on view from January 24 through February 23, 2019 at Joshua Liner Gallery, 540 West 28th Street, NYC. Opening Reception will be held on Thursday, January 24th from 6-8pm.